Air purifiers help reduce odors, dust, pet dander, and other allergens by pulling in dirty air and filtering out the particles in it that cause your house to smell or your allergies to get worse. However, from time to time, your air purifier’s filter may need to be replaced. If it’s time to replace your air purifier filter, then you may have a few questions. We usually suggest you consult your air purifier’s owner’s manual for the specific answer to this question. However, depending on your air purifier it can be anywhere from every few months to 5 years. For example, the QuietPure Home’s filter should be changed every 6 months to a year while the IQ HealthPro’s filter needs to be changed every 4 years. What’s the Difference Between HEPA and Carbon Filters? A HEPA (high-efficiency particulate air) filter was originally designed during World War II to help filter out radioactive particles in the air that were damaging soldier’s respiratory systems. 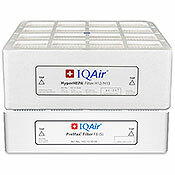 HEPA filters are now used to filter out particles like dust or pollen larger than .3 microns. Carbon filters use activated charcoal to absorb chemicals, odors, smoke, or fumes. The charcoal in the filter is treated with oxygen to open the pores in the charcoal so they can absorb any contaminants that pass by it. What does True HEPA mean? 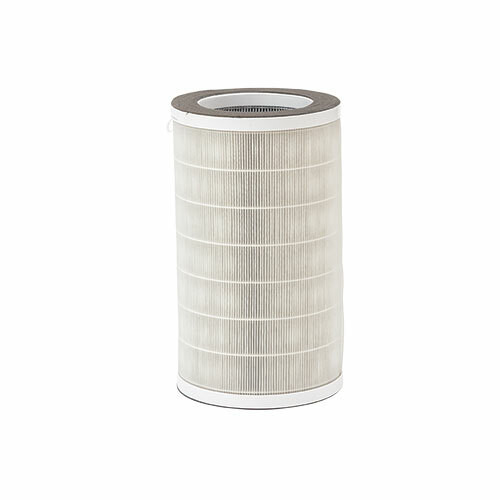 True HEPA refers to the filtration efficiency of a filter. To meet U.S. HEPA standards, a HEPA filter must filter out 99.97% of particles at 0.3 microns to be considered True HEPA. To meet European standards, a filter is measured based on the filtration efficiency at the most penetrating particle size (MPPS). Can I Wash My Filter? No. While it may be tempting to do this to save money, the filter will be far less effective, particularly if the filter is treated with carbon. It’s best to simply purchase a new filter to replace the old one. The MERV (Minimum Efficiency Reporting Value) rating is a standard that rates the effectiveness of air filters. A higher rating means the filter lets fewer dust particles and contaminants pass through the filter and into the air you breathe. MERV ratings range from 1 – 20. For example, a MERV rating of 8 is good for household dust, pollen, and pet dander while a MERV rating of 20 might work for hospitals that need to filter out bacteria or viruses. 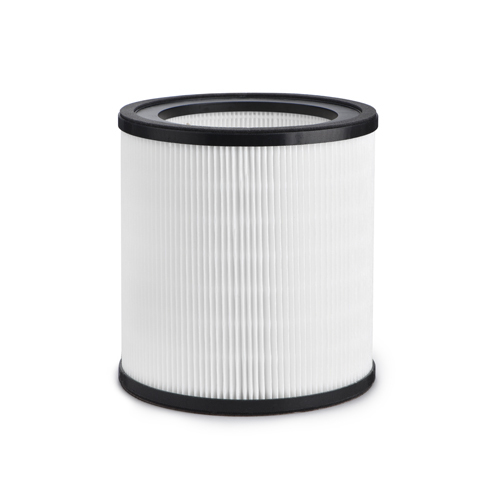 Filters are an important part of how your air purifier functions. Without a filter, your purifier won’t help much. If you have questions that weren’t answered here, reach out to the experts at Allergy Buyers Club. They’re usually able to answer common filter questions and even assist in finding an air purifier that may help you.